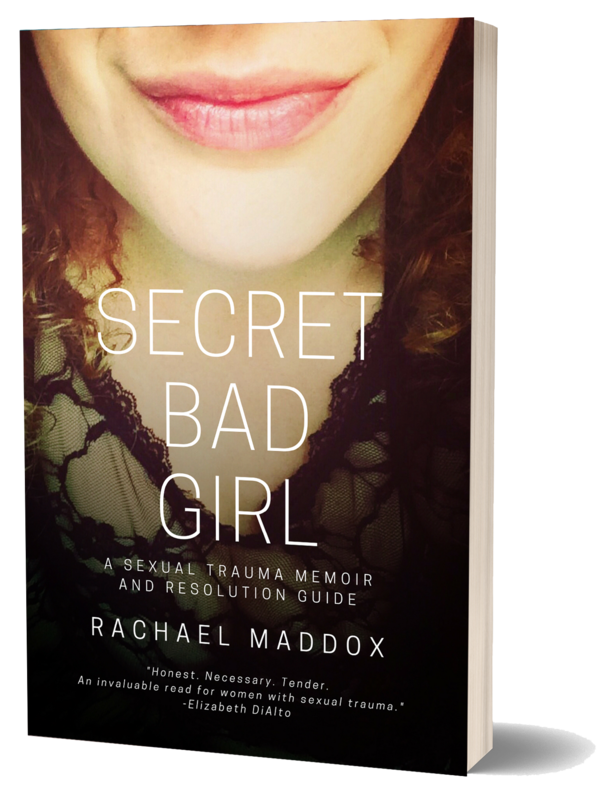 … Secret Bad Girl is an intimate exposé about life under the trauma spell and how I found my way to liberation. Healing happens. Everything changes. This book can be your friend and guide. Want to receive the complete Secret Bad Girl Manifesto? Sign up below. Rachael Maddox has written a profound, potentially life-altering book. Lifting trauma out of the shadows and into the heart and soul, she allieviates the secret pains that haunt so many, through her brilliant vulnerability and phenomenally (and magically!) expressed message of hope and real-life healing. Thank you Rachael, for being a bright light and speaking your truth. I was once a secret bad girl. Now I KNOW that I am whole. – G.E.